The Granley traditional Gothic styled angled thermostatic radiator valves, feature a antique brass finish with beautiful decorative heads. Supplied as a pair and complete with lock-shield. These cast iron radiator valves are pretty awesome the quality is off the scale. Lovely ornate design. 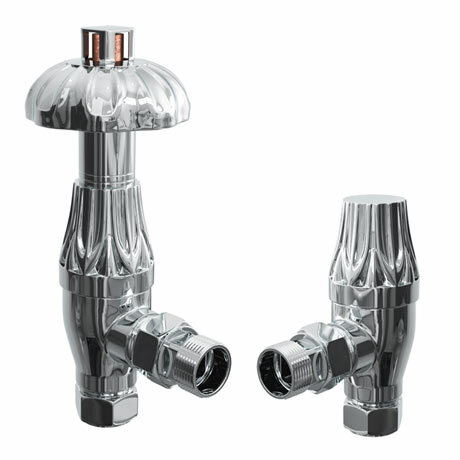 Brought 3 sets of these to go on our anthracite column radiators and they go buatifully. I covered the copper pipe with chrome covers and they look fab.